The South Africa-based Pam Golding Property group has acquired local digital estate agency startup Eazi.com as it pursues the “hybrid” estate agency model that is gaining traction internationally. 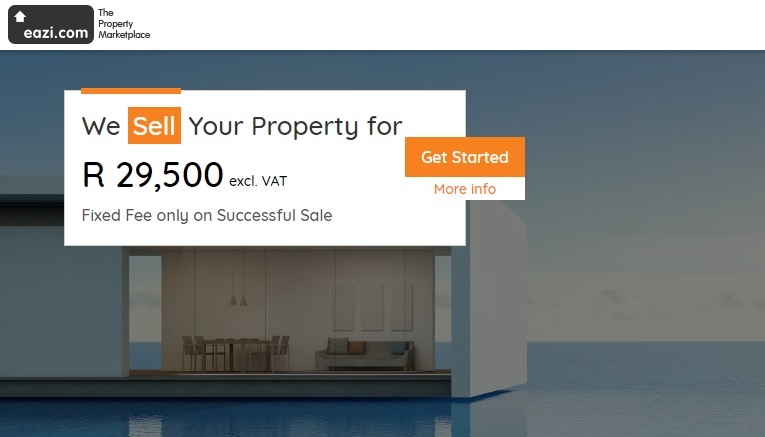 Launched in 2017, the Cape Town-based Eazi.com provides a convenient and cost-effective way to buy and sell residential property in South Africa for a fixed fee, which is only payable on completion of a deal. The startup has now been acquired by Pam Golding Property, founded in 1976 and now one of the biggest property groups in South Africa. Pam Golding chief executive Dr Andrew Golding said the company had been monitoring global real estate industry trends and noted businesses were being reorganised across at least two separate types of business models. “The first of these is the traditional high ‘touch’, high service, agent/client relationship model which is the cornerstone of the Pam Golding Property group and which will continue to be our core offering, but secondly, over the past two years, we have been following the advance of the online ‘hybrid’ estate agency model, which is a digital offering plus minimal agent ‘handholding’,” he said. The acquisition of Eazi.com will allow Pam Golding Property to pursue this hybrid agency model, which offers customers a technology platform to conclude real estate transactions, helping them book valuations, change prices, arrange viewings, collect feedback, review marketing data, send messages, make offers and agree sales. “This model uses technology to reduce costs and pass savings onto consumers in the form of lower, flat fees,” Dr Golding said. He said this was particularly relevant in the price segments between ZAR500,000 (US$35,000) and ZAR2 million (US$140,000), to which the Pam Golding Property group has traditionally had limited exposure to date. “This is not a disintermediation or cannibalisation play but rather a recognition that in specific market segments it is possible to give consumers a choice between a low-cost, fixed fee, low agent involvement, technology-enabled online service or a traditional agent-enabled, high touch, personal service with all its inherent advantages,” said Dr Golding. Eazi.com is currently focused in the Cape Town area, and will continue to be managed and branded separately from Pam Golding Property. Dr Golding said he was confident the two models will co-exist successfully and enable it to expand the full service offering of the Pam Golding Property group locally, nationally and globally.